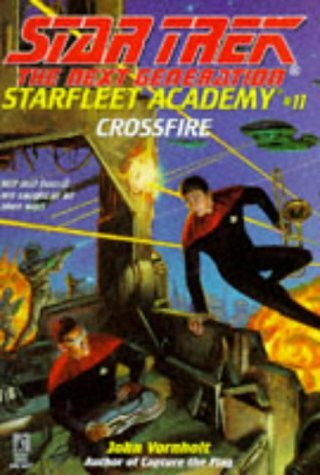 Part of the young adult Starfleet Academy series for Star Trek: The Next Generation. This little book is aimed at younger readers. Geordi LaForge and William Riker are first-year cadets at the Starfleet Academy. Geordi is a roadie and mechanic for the Starfleet Academy Band. The Band’s trombonist has just quit the Academy without an explanation and the band’s frantically searching for another because in just a week, they’re going to participate in an intergalactic competition on Pacifica. Will Riker auditions and get the position. At first, he’s very happy but the older cadets start hazing him and he has hard time accepting that. Geordi is the only friend he makes in the band. The Band heads to Pacifica but after the competition they’re kidnapped and plunged into a war zone. This was a strange little story. The first half focuses on the Band and it’s very light, mostly about bullying Riker has to endure, but the second half is much darker because it’s set in the middle of a war zone. However, even their actions during the war are somewhat ridiculous. Geordi seems quite somber and focused on his work trying to find a way to make an alien musical instrument to work. Riker quickly picks up a grudge against the band members who do practical jokes on him and he tries to flirt with the female cadets. Only for die-hard ST:TNG fans. A stand-alone mystery book in the popular YA series. This was a nostalgic read. When I was quite young, I read a lot of mysteries aimed at young readers, such as Nancy Drew and Hardy boys along with some series translated from Swedish such as the Detective Twins. But I always read them in translation. So, this is actually the first Nancy Drew book I read in English. 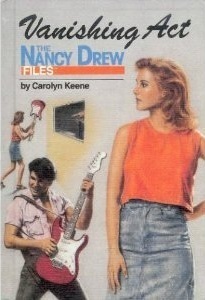 This turned out to be part of the Nancy Drew files series aimed at slightly older readers. It’s supposed have romance, as well, but (happily) not in this book. I think the Finnish translations are from the other series. Jesse Slade is a rock star who vanished three years ago. Paula’s best friend Bess is still a huge fan and when his final concert is shown on tv, she invites Nancy and George to watch it, too. Nancy see something startling: a body falling off a cliff on the background. Bess manages to get them invited to Los Angeles with the cable music TV station, TVR, which aired that last concert. Nancy persuades the manager to let her investigate Slade’s disappearance. The manager only agrees if Nancy goes undercover. She agrees. However, when she starts work, the people at the station are mysteriously hostile towards her. This is a rather convoluted mystery for such a short book. Nancy and her friends get to know a little bit of the rock TV station’s life. Nancy is a good role model for girls: eager for adventure and to see justice and goodness to win, happy to help people but she and her adventures don’t question the the American culture they’re set in. Her father is also clearly quite wealthy. Bess and George are her loyal friends who are always with her. George is a tomboy while Bess loves make-up and clothes. We don’t get to know the side characters much. No doubt this is an exciting adventure to the intended audience, especially those who are interested in (US) rock TV stations. The last page of the book has a synopsis for Nancy’s next adventure. 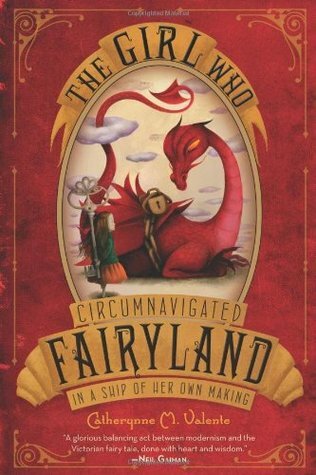 The first in a humorous fairytale series aimed at younger readers. The parents of Sabrina and Daphne Grimm vanished without a trace about a year and a half ago. The orphanage has sent them to a couple of families who turned out to be rotten. Now, an elderly woman has sent for them, claiming to be their grandmother. However, Sabrina knows that they don’t have any living relatives, their father said so. So, 11-year-old Sabrina is determined to keep her guard up and escape with her younger sister as soon as possible. But Granny Grimm seems like a cheerful person willing to feed them very well, even though she is somewhat odd at first. But soon Sabrina starts to think the Granny’s insane. For one thing, she thinks that giants are real and that she’s some kind of detective. Sabrina is more determined than ever to be the voice of reason in this madness. Then there’s Mr. Canis, a tall and thin old man who helps take care of the strange house Grandma Grimm lives in. 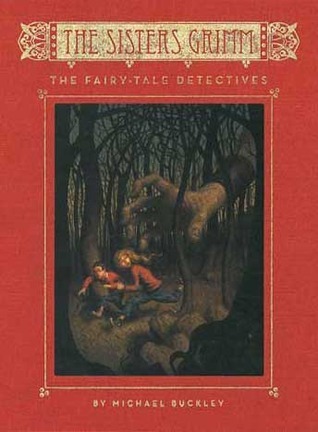 In this book, fairy tales are real, or at least some version of them. Fairytale characters (called Everafters) are also real but they’re confined to one town. The Grimm family is kind of sheriff types to them. Magic is also real. The characters aren’t just confined to fairytales, though. However, most of the Everafters are pretty unpleasant characters, even those who should be nice. For example, Mayor Charming continually verbally abuses everyone around him, unless he’s fishing for votes. Also, this book is quite reminiscent of the Fables comics. The foster care system is presented as pretty much a criminal system where children are abused, more or less systematically. It takes a long time for Sabrina to accept that people aren’t lying to her and at first she tries to furiously deny it all, like, you know, a sane modern person would do. I liked her stubborn streak a lot. She’s also determined to protect Daphne and be “strong” for her, which is a lot of responsibility for a girl who is almost twelve. Daphne accepts everything far quicker, too, quickly in Sabrina’s opinion. Daphne has a lot sweeter personality than her sister. This is a fun and funny book. Unfortunately, there are some glaring holes in the background. But this is apparently the first in a series of books, so maybe they’ll be explained at some point. A stand-alone fantasy book set in post-Apocalyptic Australia. 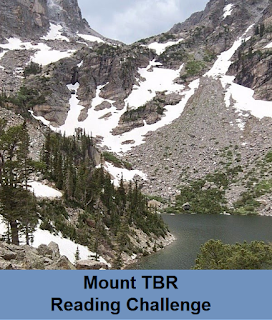 I got the ebook in exchange for an honest review. Once I realized this was YA, I had some misgivings but in the end I had nothing to worry about. S. C. Flynn is a fellow blogger. Couple of decades ago a brain disease called the Great Madness swept the globe. It made almost all people violent and they killed each other. It wiped out civilization, leaving a few survivors struggling for existence. They quickly divided to the City People, who live in the crumbling cities and try to bring back the old technology and the way of life which lead into the civilization collapsing in the first place, and people in the Settlements where they live free of tech and even destroying any tech they find. When the survivors started to get children, those kids go through a Change which gives them special powers. However, some the kids come out of the Change just wanting to destroy and kill; they’re called Ferals and the others banish them into the wilderness or kill them. So, people are at first afraid of the kids who come out of the Change. 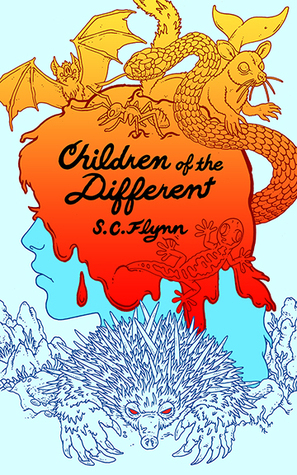 In the Change, the kid falls into a coma and his or her mind travels to the Changelands. They rarely talk about their experiences there, even to each other and never to the adults who haven’t experienced it. Any injury they get in the dream state is real. Narrah and Arika are 13-year old twins. They’re born to a small Settlement in Australia and are now near their Change. They’ve tried to find out as much as they can about the Change but haven’t succeeded. Only three kids have gone through it before in their village. One has gone Feral, one was kidnapped by the City People, and one doesn’t talk anymore. Because Narrah and Arika are twins, they have a special connection: the Path will allows them to know each other’s feelings and thoughts even from a distance. They’re also orphans and witnessed their parents’ murder. The book starts when Arika’s Change begins. She falls into a coma and goes into the Changeland where she encounters strange and dangerous visions. She sees the world before the Great Madness and is chased by a blood-thirsty enemy. Eventually, she manages to call her twin briefly to the Changeland to help her. Narrah is very worried about her but the elders convince him to leave Arika in the care of their foster mother and do his chores. One of those chores is destroying a metal tower from the old days. Narrah and a couple of other men go and bring it down. But then they’re attacked and the City People kidnap Narrah. Narrah and Arika are the two POV characters and we follow their paths in real life and in the dream world. They’re both very resourceful and brave people but they’re also very young. They’re anxious about each other and want to find their own place in the world. Oh, and there’s no romance or love triangles in the book, which was great. The book has several scenes in the Changeland which is a weird place. It follows dream logic and not natural laws. Of course, the real world is a dangerous place with Ferals that roam in packs wanting human flesh and supposedly sane people wanting to exploit other humans. I didn’t really care for the ending and I had some quibbles about the enemy, but that’s just my weird taste. Otherwise, I really enjoyed the book. Siblings are still rather rare choice for protagonists and both Australia and the dream world were interesting settings. 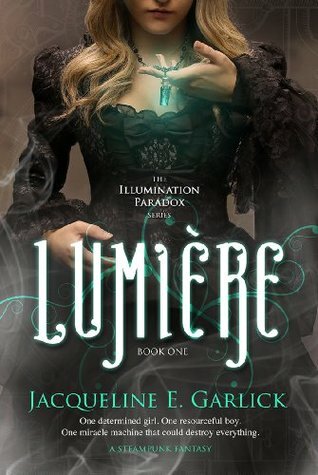 The first book in a YA Steampunk series called the Illumination Paradox. This was part of the steampunk bundle I bought and I didn’t realize that was YA so I had different expectations for it. The main character is Eyelet. We first encounter her as an eight year old girl who is wandering in a carnival. She has seizures, epileptic fits, so her mother is very concerned about her. But Eyelet knows that her father will cure her with his Illuminator machine – he’s promised to do so. However, she realizes that the carnival folks use the Illuminator as a carnival trick and to sell miniaturized copies of it. She thinks that they’ve stolen it. When she confronts the carnies, they call the guards and chase her. But everything changes when the Illuminator causes an eternal twilight to decent over the city. Nine years later Eyelet is a student at the Academy and she’s secretly reading her father’s notebooks in order to find the Illuminator which was supposed to cure her seizures. She and her mother have kept her fits a secret because otherwise Eyelet could be accused of Madness or Wickedry, and she would be either sent to an asylum or hanged. Her father died years ago without telling her what he had done with the Illuminator. However, one of the professors tell Eyelet that her mother has been sentenced for Wickedry and has been hanged and Eyelet herself is to be taken into custody. But she flees and managed to find her mother. Just before her mother dies, she gives Eyelet a mysterious pendant and says that it’s the key to everyone’s future. Eyelet barely escapes the guards called the Brigsmen. From her father’s notebook, she gets an address to a warehouse and is convinced that the Illuminator is there. She races to the warehouse but the Brigsmen are at her heels. When she gets there, a man is loading a large machine into a carriage. Eyelet can’t let him escape so she grabs onto the carriage while it’s moving. The man has no choice but to haul Eyelet aboard or let her be crushed under. But the man is very strange indeed – he has red eyes and chalk white skin and one side of his face has large birthmark. It turns out that his name is Urlick and he lives in the far Follies with his eccentric father and a mute maid called Iris. He has lots of secrets. 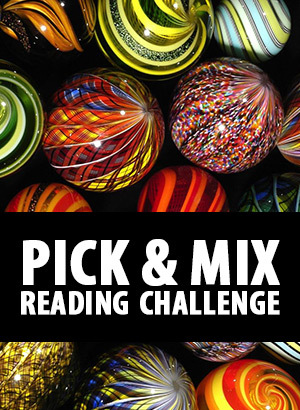 The pace of the book is quick with chases and plot twists following quickly. The book is written in first person, present tense. Most of the time the POV character is Eyelet but in a few chapters it’s Urlick. Eyelet is a very plucky heroine: she’s quick to draw conclusions and act on them. She’s also determined to find the Illuminator and cure her condition. When she meets Urlick, she’s at first afraid of him because of his looks. But when she gets to know his secrets, she quickly starts to find him attractive and starts to trust him, more than she has any reason to. She’s also very curious and doesn’t follow rules well. By contrast, Urlick is a more patient person. He has good reasons to keep lots of secrets. He’s attracted to Eyelet from the first time he sees her but is convinced that nobody could ever find him attractive. Urlick’s mother died giving birth to him and his father accused Urlick of it. He also knows that people consider him a monster because of his odd looks. But he’s very brave and loyal to his friends. He’s also very interested in the sciences and has invented a number of gadgets. Of the two main characters, I found Urlick to be more appealing, heroic even. They’re both damaged, by their own estimates and in the eyes of their society, and they both harbor secrets, even from each other. Iris is also an interesting, tragic character. I also really liked some of the gadgets. And the ravens. Unfortunately, there were some irritating things in the book, too. Both Urlick and Eyelet ask the other “How much do you trust me?” when they barely know each other and don’t have much of a reason to trust each other. Especially at the start of the story, this is asked after some big revelation which is forced out of the character, demonstrating that the other, indeed, doesn’t have any reason to trust. I also thought that the characters behaved sometimes in unnecessarily melodramatic fashion jumping to strange conclusions and having teenage angst. Also, the romance is more pronounced in the first part of the book, when the characters are just getting to know each other. Also, Eyelet’s mother’s death didn’t seem to be a big deal to her. The setting has some interesting features which aren’t really explored. One of them is the constant twilight which has fallen on to Earth. Also, outside the Brethren, which is the city where the rich people live, women are literally owned by men. If a woman is caught alone outside, she belongs to the man who caught her. Yet, this is only used once in the book, to threaten Eyelet, and never even talked about afterwards. None of the males behave according to that sort of culture. However, the Vapors are a constant threat to everyone. They are poisonous clouds which force people to stay indoors or die. They can also mutate some people. 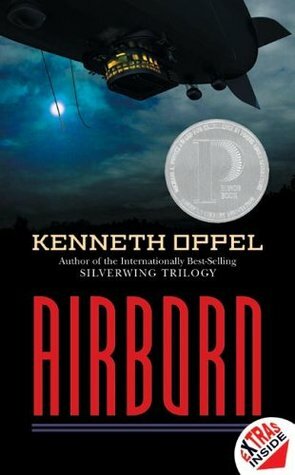 Still, this is a fun, fast-paced book and ends in a cliffhanger.